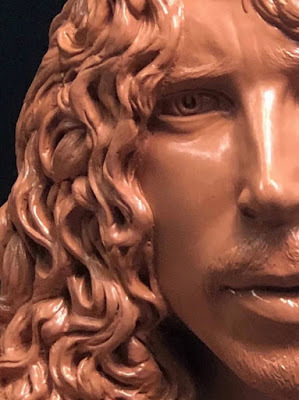 A life-size bronze statue commemorating late Soundgarden frontman Chris Cornell will be unveiled during a public ceremony at the Museum Of Pop Culture in his hometown of Seattle, WA on August 29. The news was announced by the singer’s widow, Vicky, on what would have been the rocker’s 54th birthday on July 20. The Seattle Times reports the piece was commissioned from sculptor Nick Marras and will depict the Soundgarden frontman “in one of his iconic poses with his signature boots, dog tag, layers and long locks,” according to the announcement; it will stand outside of MoPOP’s gold south entrance facing Fifth Avenue. TMZ is reporting the statue has been completed and the site has posted the first images of the tribue here.